As someone who has tried a whole range of water sports throughout my life and as someone who can not swim unaided, I have gained the understanding that an important component of any lifejacket is the crotch strap(s). The strap(s) are important because they stop the jacket from riding up and potentially going off in the water. 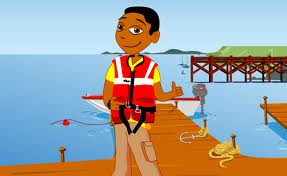 Because of my movements, this is very important and I prefer to never where lifejackets that do not have crotch straps! It is often these little things that keep me safe and makes all the difference.